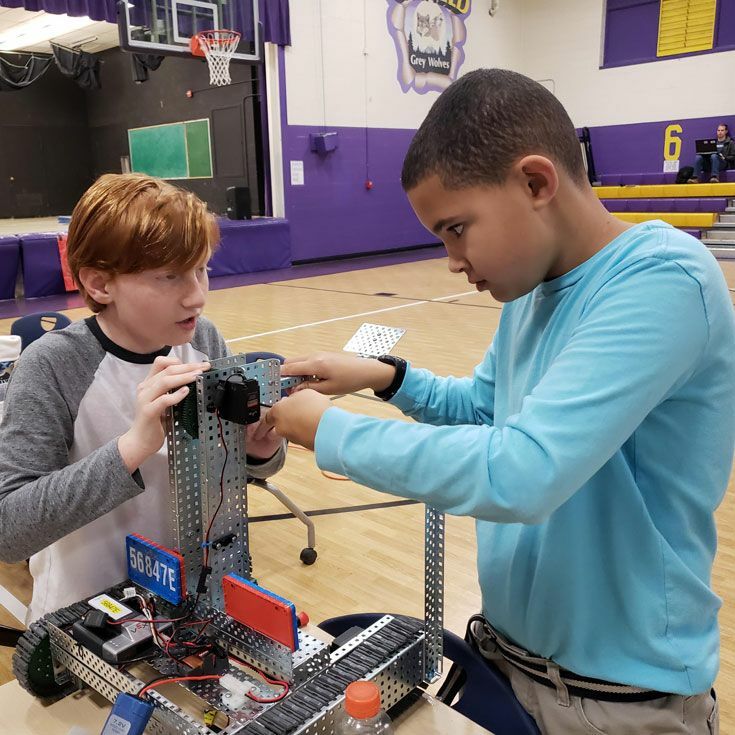 Seven robotics teams from Bosque School, five from the Middle School and two from the Upper School, participated in the second qualifying event in the Albuquerque VRC Robotics League at Garfield Middle School on Saturday, November 17. Bosque teams did well in the matches and at the end of the event, Bosque School teams held 7 of the top 11 places in the league, including the number one spot held by the the Middle School E-Lemonators! The league finals will be held on Saturday, December 1, at Valley High School. Special thanks to all the Bosque parents who volunteered their time to help set-up the field, score the matches, and reset the field between matches! Pictured: Everett '25 and Wyatt '25 work on improving their robot between matches.